You can't anymore? If you look in some of the early pages of threads there's a poster who has an avatar of George falling off a sled. Not a stalker, ASJ, I promise. 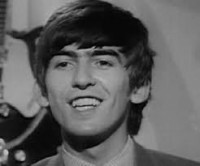 Your contribution to the Great George Hair Debate inspired me to go GIF-hunting for the first time. The old avatars stay. Like how you can only have a square avatar now, but users who set their avatar before still have non-square ones (von and zig, por ejemplo). 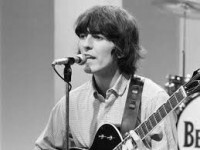 Pure happiness is: listening to George music (Savoy Truffle at the moment) and looking at GIFs of George. Which is what I have been doing for the past ten or so minutes. Pure happiness is: listening to Ringo music* and looking at GIFs of Ringo. Which is what I have been doing for the past ten or so minutes. ...and a bit of Pattie as well. 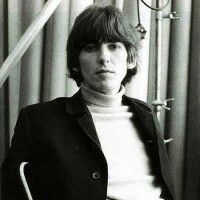 Not a lot of people are as pretty as George. He's a solid 33 1/3 out of ten. 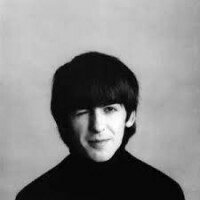 No one is as pretty as George. IKR one of my favourites. plus like the only one i have downloaded on my computer. If this was my own computer that would totally be the case. Who, actually, had some similar facial structures to George (wacky hooded eyes, eyebrows for the ages, wonky choppers, cheekbones to kill for/with [they're sharp enough]), so maybe I'm a little biased. Our Hare Hari has certainly had a heavy influence on my taste in faces. He's almost as pretty as George. He's so close. OH GOD YES DAVID! He is a 1984 out of ten! HIS CHEEKBONES AHHH! David is how I measure the attractiveness of other rock stars. Ouch. Poor other rock stars. Also, I know there is a thread for this but I think Dhani is nice-looking in his own right, not just because he looks like George. Tho Walrian has a point, anyone with Hari-genes is bound to be stunning... lovely features run in that family... but Olivia ain't bad either. Dhani hasn't really looked incredibly George-ish since 2008. He grew out his hair, had it quite long for years and like 2 years ago he cut off most of it. Now he's put on weight (I'm not saying that in a bad way), has changed his fashion-style, and his hairstyle. Still has his lovely personality though! 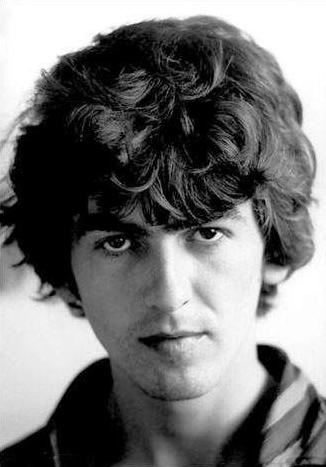 Oh my God you guys, isn't George Harrison soooooooooooooo fetch.